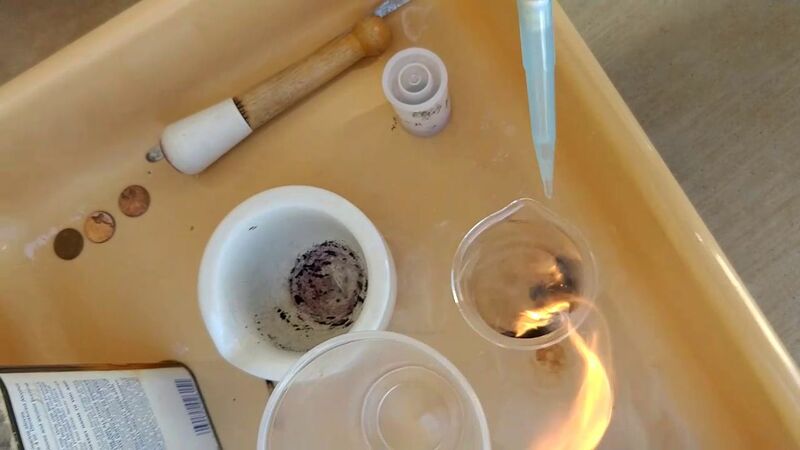 Friday, 21 Sept. 2018: students in our grades 4-7 science class viewed (from a safe distance, and with protection) a rapid chemical reaction, with reactants bursting into flame. Teacher Vince Gutschick, a Ph. D. chemist, guided students as they ground up potassium permanganate powder, which he then mixed with concentrated sulfuric acid. He then dropped droplets of ordinary alcohol, ethanol, onto the combo. The rapid oxidation releases heat to give satisfying pops from tiny fireballs. This video is a remake, since we missed the original video. At the Las Cruces Academy, we do a lot of interesting science.